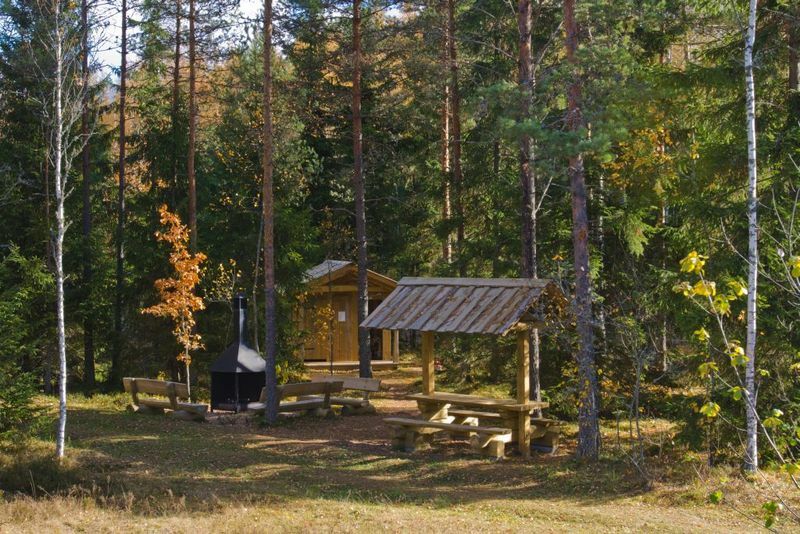 Pertlimetsa campfire site is located in a nice pine stand on the border of Pärnu and Viljandi counties. 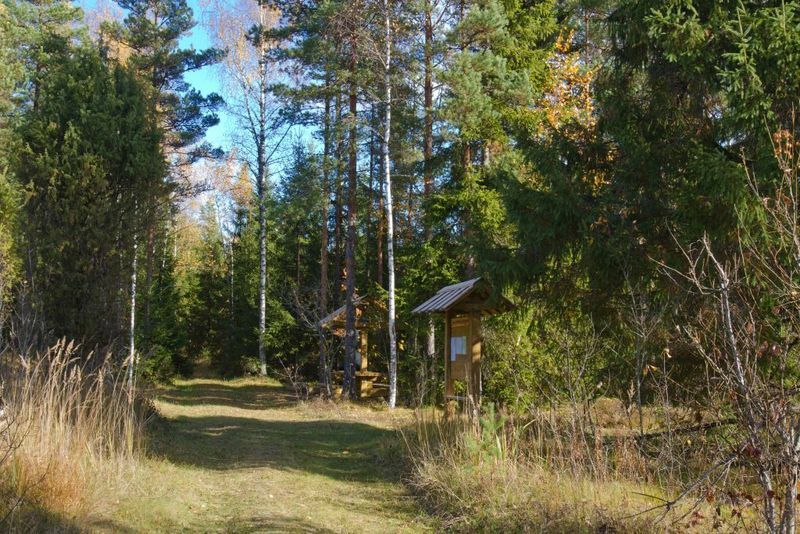 The place is surrounded by kilometres of uninhabited land – there are just a few summer houses nearby. 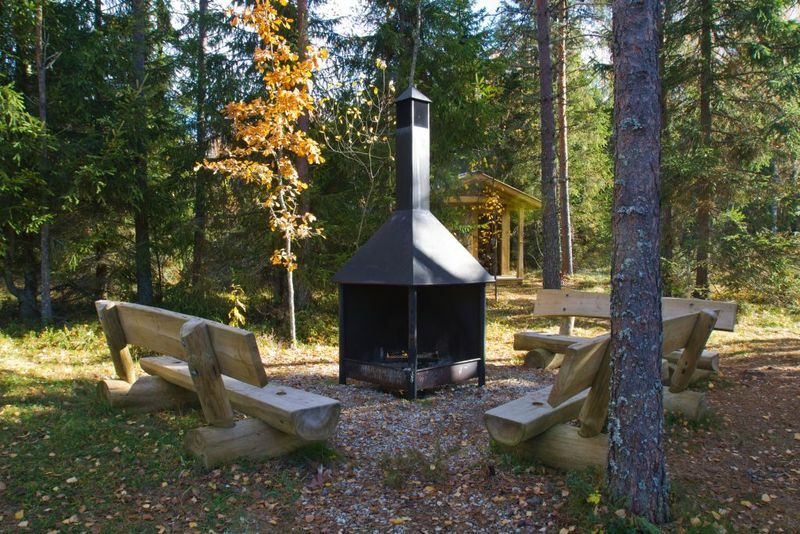 A tired hiker can find real luxury here – around the fireplace there are benches with backrests! When visiting this campfire site, please take along all the water you will need! Although the Halliste river is close by, it is difficult to get water from the river because of steep banks. Parking facilities Parking for two cars in campfire driveway. Camping facilities The maximum number of tents (for 4) allowed is 5. 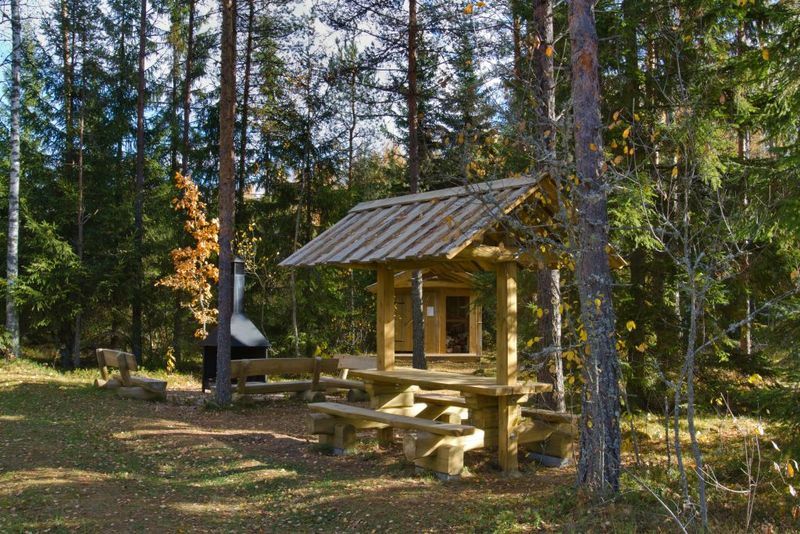 Hiking options The campfire site is on the RMK Oandu-Aegviidu-Ikla Hiking Route. Restrictions In the territory of the National Park certain restrictions. 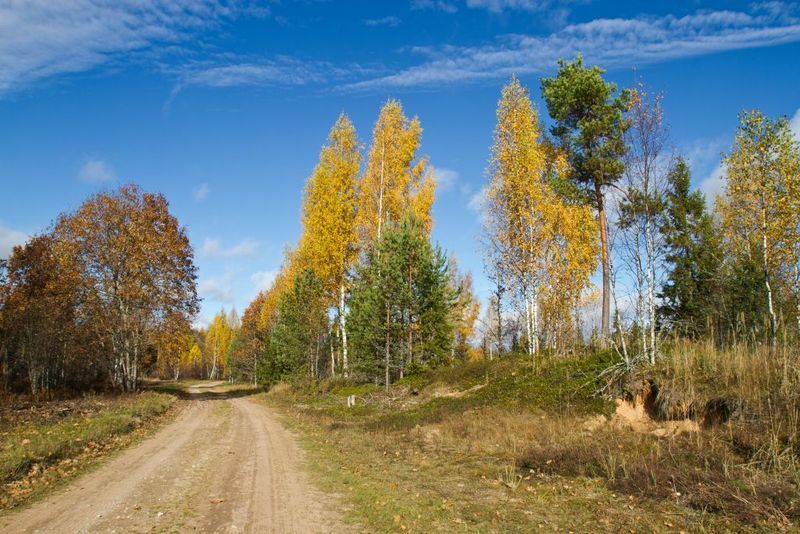 Further information can be obtained from the Environmental Board (+372 435 5610, info@keskkonnaamet.ee). Location Saarde municipality, Pärnu County.